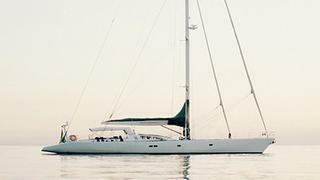 A call to Bernard Gallay at Bernard Gallay Yacht Brokerage brings news of a €600,000 price drop on Nicolas Marchand's listing, the 30.16m sailing yacht Susanne af Stockholm. Susanne af Stockholm was built by Trehard in 1990 to a design by Gilles Vaton. Originally called Whither she has been totally reconfigured into a modern, comfortable, seaworthy and high performance sail yacht. She has terrific potential for private cruising or for charter. She can accommodate 8 guests in 4 cabins, and is fitted with twin Caterpillar diesel main engines, giving her a top speed of 12 knots. Susanne af Stockholm is now asking €2.9 million although Bernard points out that the owner is eager to sell and will consider all serious offers.